Handy tips to care for your Honeywell / BW Technologies Gas Detectors. 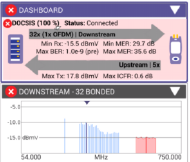 DOCSIS 3.1 squeezes more performance out of the HFC network. 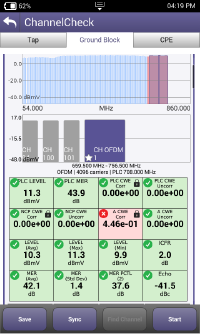 It goes from the traditional 6MHz wide QAM carrier to a 24MHz-192MHz wide carrier with overlapping subcarriers across the spectrum. 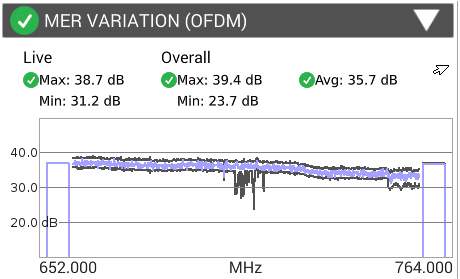 This is done by utilising OFDM (Orthoganal Frequency Domain Multiplexing). 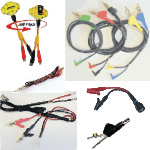 The added complexity provides higher efficiency and noise immunity to the cable. Essentially, DOCSIS 3.1 can achieve 1Gb/s speeds (and higher) on the current coax already in the ground today! 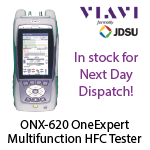 NOTE: If you have purchased (or are purchasing) a VIAVI ONX620 from TMG or Contractor Essentials, your unit only needs a Software Licence to perform DOCSIS 3.1 and OFDM tests. The software can be added to your unit via StrataSync so that there is no downtime in upgrading your unit. You will just need to purchase the licence through our Contractor Essentials website (or direct with us over the phone), and we’ll let you know when it’s time to sync! Easy! 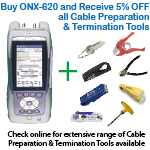 The Buz tool is a kit introduced for verification that the end devices are connected to the correct PON ports at the exchange and is an essential part of an FTTC technicians arsenal. While a PON optical power level check or OTDR trace at the end of the line will prove the fibre's ability to carry light and acceptable level to the end device, there is still the possibility that during the many splices in the many joints, a ribbon fibre may have been spliced to an incorrect fiber and that the signal may be coming in from the wrong PON port at the exchange. There could also be discrepancies between the PNI design data and construction causing issues when integrating the service to the network. The Buz tool mitigates these issues by validating correct network continuity and eliminating PON port mismatches. 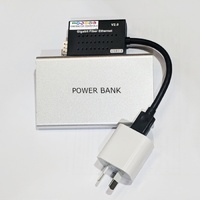 The TMG Buz tool kit comprises an Optical SFP that is housed within a media converter powered by a USB power bank. 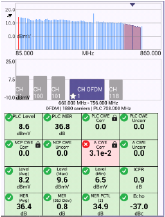 Using Config files is a quick and simple way of setting up your OTDR. You can set up config files on your VIAVI OTDR and share them with your the rest of your teams' VIAVI OTDRs ensuring that the test set ups are consistent and correct with all of your technicians. Only clean your detector with damp (water only) cloth - Do NOT use chemicals or solvents. Use of the belt clip can avoid the device being dropped. Dropping your device can affect the measuring accuracy. 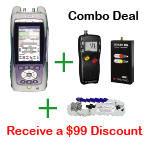 Ensure your sensor and sampling pump filters are free from Dirt, Dust and Water. These physical effects can block gases and vapours from entering the sensor area/sampling pump, preventing detection of the gases. IMPORTANT: Using Armor All (or similar silicon based) protectant inside your vehicle can damage the O2 Sensor in your Gas Detector. The silicone ingredients can poison the O2 sensors. 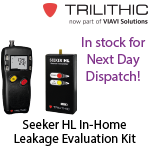 Ensure your device is Calibrated by an Authorised Service Agent when due. A Calibrated device can ensure your detector is functioning how it is designed to. Keeping you and your work colleagues safe.